Ash and his friends decide to catch a festival for a Millennium event. Team Rocket is up to their usually evil ways, and they attempt to steal the power of the Millennium Comet. One of Ash’s group stumbles upon Jirachi, a Pokémon that sleeps for a thousand years. They do everything they can to protect Jirachi the moment they are attacked. Will the gang be able to save the Pokémon from the clutches of Team Rocket? Just watch Pokémon: Jirachi Wish Maker to find out for yourself. Of course, this film is suited for any age group so you can watch it together or alone. 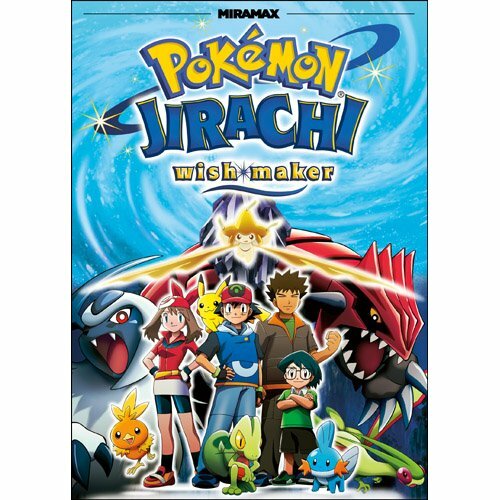 Since the storyline as well as the graphics were very good for this film, Pokémon: Jirachi Wish Maker gets a popcorn rating of five out of five. To learn more, go to http://www.imdb.com/title/tt0420076/?ref_=fn_al_tt_1.